Ready to ship!!! 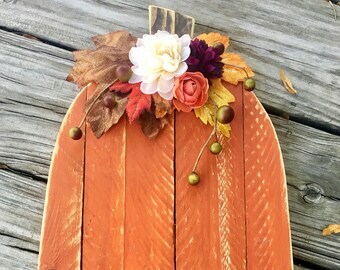 Gorgeous barn wood pumpkin trio! 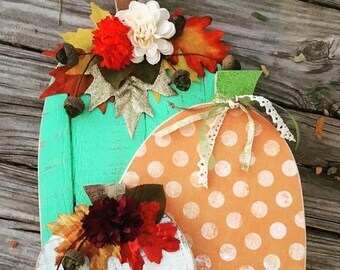 These look amazing on mantles, tables, shelves and more! 🎃All three pumpkins included. Ready to hang or prop. 🎃 The largest pumpkin is cut from reclaimed barn wood and measures approximately 9” x 16”. It’s hand painted a creamy light ivory and distressed with silk Fall Leaves, flowers and faux copper berries. 🎃 The middle size pumpkin measures approximately 11 x 13” and is hand cut from solid pine. 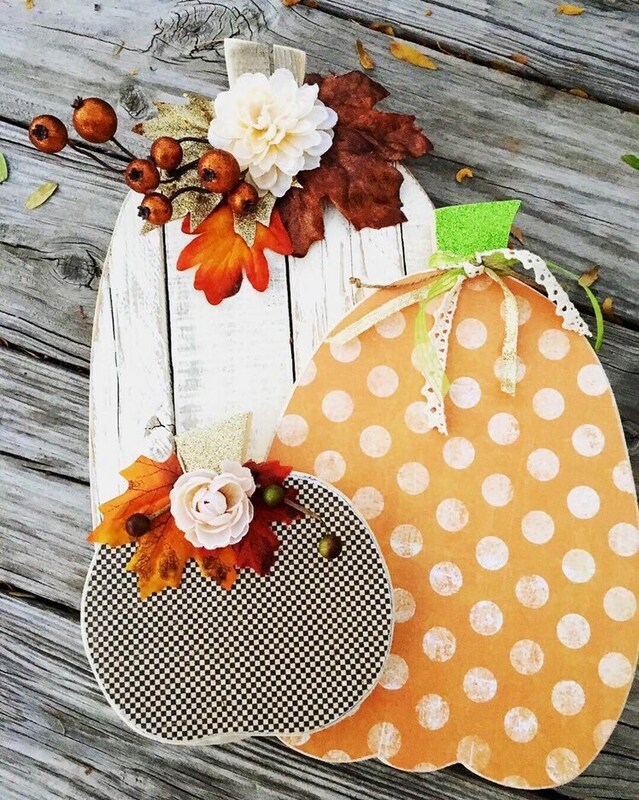 It’s embellished with a darling orange and white polka dot scrapbook paper that is sealed for durability. 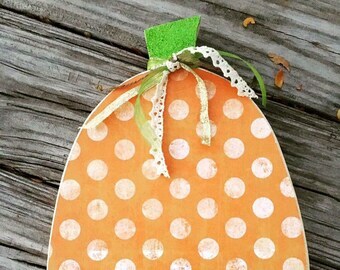 It features a bright green glitter stem and a cute ribbon, lace and Jute tie. 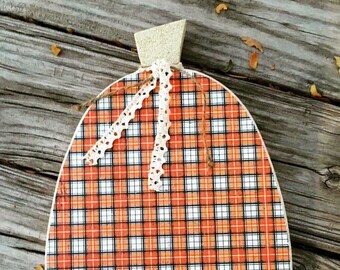 🎃 The smallest pumpkin measure 5 x6" and is also cut from solid pine. This one has a tiny black and white checkered paper that is also sealed. Accents include silk Fall Leaves, floral and faux Berries. 🎃 These are so striking and vibrant! They look amazing on mantles, entertainment centers, tables, countertops and anywhere else you need a fresh pop of color! 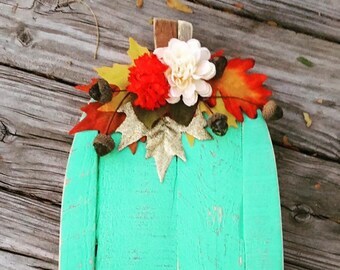 Striking one of a kind reclaimed wood pumpkins!! 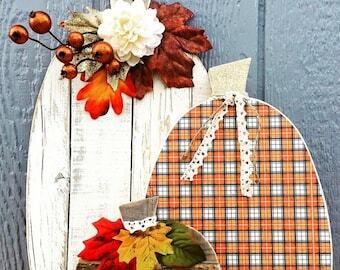 Perfect farmhouse style Decor for Thanksgiving and Fall!